Summer is the most popular travel season for visiting Itlay, but the scorching sun and heat can sometimes be unbearable. Here are some events that take place in the evening during the cooler hours. There is everything from a night walk through the ruins of Pompeii, a moonlight walk beneath the Greek temples of Paestum, ballet at the Uffizi, classical music concerts overlooking Lake Como, and a fun-tastic summer Carnival in Framuria, Liguria. Wishing you the best summer, keep cool! From Monday, May 14, La Luna on the Colosseum resumes, the evocative evening visit to the underground, the galleries and the internal arcades of the Colosseum. Until October 31, 2018, the 75-minute guided tours, in Italian and English, will be held on Monday, Tuesday and Wednesday, with admission starting at 20.00 (last entry at 10.40 pm). The tour starts from the floor of the arena, from where you can see the depths of the underground, the cavities of the galleries and the succession of internal arches of the monument made magical by the evening lighting. Here we will explain the history and architecture of the monument, then focusing on the shows, the duels between gladiators and the hunts that were held on the arena. We continue with the visit to the underground, showing the places where gladiators and wild beasts waited before appearing in public; here it is explained the operation of the technical apparatus that allowed the lifting of men and animals from the underground to the arena. At the end of the visit you go up to the second order of the monument, to contemplate the extraordinary view towards the Arch of Constantine and the colonnade of the Temple of Venus and Rome. Exclusive, marvellous locations on the lake, like the Salone Reale of the Grand Hotel Villa Serbelloni, the auditorium of the Rockefeller Foundation and the Basilica di San Giacomo in Bellagio, the Villa Cipressi and Villa Monastero in Varenna, Villa Grumello in Como; little villages and unexpected scenarios like the Abbazia dell’Acquafredda in Lenno, Lutheran church in Cadenabbia and the surroundings of Bellano; suggestive, panoramic places like the Villa Vigoni in Loveno, the churchyard of the Church of San Martino in Perledo, the theatre in Civenna; places full of history like the Castle in Carimate and the villas in the Brianza area, as well as spacious modern venues like the Sala Artsana in Grandate and the auditorium of the Chambers of Commerce of Como and Lecco – these are only a few of the many venues that have hosted the Festival of Bellagio and Lake Como. 19.30 – 22.30 (closing time at 22.00) evening opening extraordinary. 9.00 pm BIRTHDAY AT THE MUSEUM, Itinerary and activities for children. 19.30 – 22.30 (ticket office closing at 22.00) extraordinary evening opening. 7.30 pm – 10.30 pm (closing time at 10.00 pm) extraordinary evening opening. 19.30 – 10.30pm (ticket office closing at 10.00pm) extraordinary evening opening. Saturday 11th August you will be masked to go wild in the dances at Fornaci di Framura (a stone’s throw from the center of Deiva Marina) for a carnival under the stars! To make us dance, as usual, the music of New Generation Sound! It is possible to buy tickets at the Park ticket offices (Porta Principale – near the temple of Neptune – and Museum). Who is in possession of the evening ticket (€ 15.00 + booking fee), at 19:30 will have to leave the park and can return at 20:00.
with extraordinary openings of the archaeological area, in the months of July and August on Saturdays and Sundays until midnight (last admission at 23.00) starting from 13 July to 26 August (in August the Museum will be open respecting the same times of the archaeological area). free for all those under the age of 18, for those who own the Paestum Mia subscription, who has adopted a block and for all those who fall within the gratuities provided by the ministry. Ticket price: The shows are included in the Uffizi ticket price. Starting from Friday 27 July and up to 28 September, the illuminated routes in the Vesuvian archaeological sites are back, as part of the 2018 enhancement projects promoted by the Ministry for Cultural Heritage and Activities. The site of Pompeii, the villa of Poppea in Oplontis, the Antiquarium of Boscoreale and for the first time the Villa S. Marco in Stabia will be lit for the occasion on Friday and Saturday from 8.30 pm to 11.30 pm. 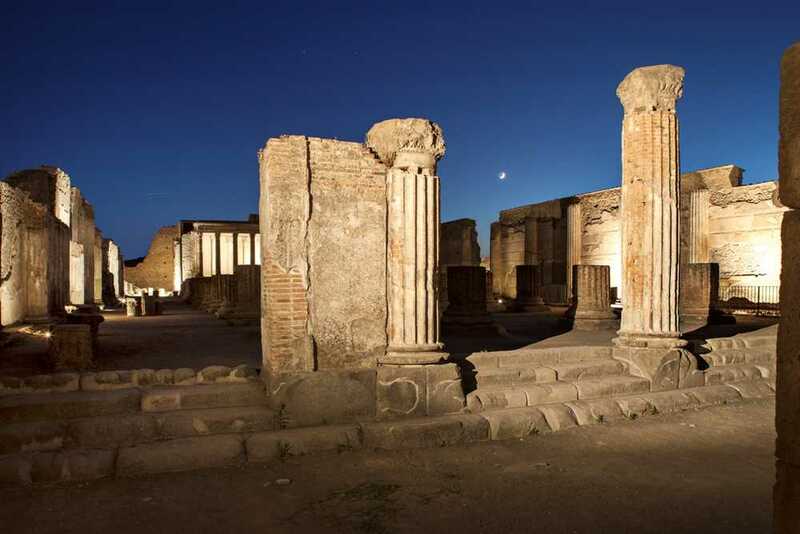 Starting in September, POMPEI’s nighttime visits expand with musical performances on the Antiquarium terrace, organized in collaboration with Scabec – Campania Region as part of the Campania by night project. Musical performances and nocturnal suggestions of Campania by night also to OPLONTIS and to the ANTIQUARIUM of BOSCOREALE. Access to night paths does not require a reservation. Extraordinary evening opening of the Royal Museums for the Salone del Gusto / Terra Madre. The Royal Library is open from Monday to Friday from 8 to 19, Saturday from 8 to 14. The Reading Room is open Monday to Wednesday from 8.15 to 18.45, from Thursday to Saturday from 8.15 to 13, 45. Reduced Euro 6 (children aged 18 to 25). Free for children under 18 years / teachers with school groups / tourist / personal guides of the Ministry of Heritage and Culture / ICOM members / disabled people and carers / owners of Membership Museums, Torino + Piemonte Card and Royal Card. L ‘ admission for visitors over 65 is expected according to the ordinary rates. The exhibition is open to the public from Tuesday to Sunday with timetable 10-19.
at the Royal Palace, Piazzetta Reale 1 from 8.30 am to 6 pm.